On July 28, Motorola will be hosting an event where they are expected to launch the new Moto X and Moto G. But before the company can reveal anything officially, we're getting an early look at the design and specifications of both devices thanks to a collection of new leaks. Starting with the Moto G, the final design of the handset has reportedly been revealed through Swiss retailer Digitec, who has posted renders (seen above) and specifications of the new device on their store ahead of the release. 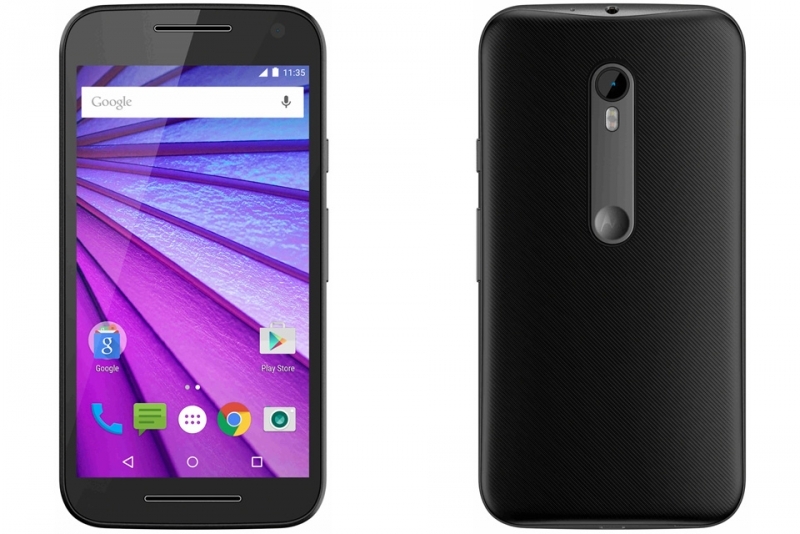 The images posted by Digitec, which have since been removed, match images of the 2015 Moto G that were leaked a month ago. However the specifications listed by Digitec, which are presumably final, differ from earlier leaks and suggest the Moto G will be more powerful than we originally thought. Internally we're looking at Qualcomm's mid-range Snapdragon 610 SoC with a quad-core CPU clocked at 1.7 GHz, as well as 2 GB of RAM, LTE support, and 8 GB of expandable storage. The best aspect of the new Moto G might be the display, though, which reportedly clocks in at 5.0-inches with a resolution of 1920 x 1080. This suggests the Moto G will be a mid-range device slotting between the 2015 Moto E (with its Snapdragon 410 SoC and 4.5-inch qHD display) and the new Moto X. Speaking of the new Moto X, images have leaked that show show an updated flagship with a design similar to the new Moto G. The front is largely the same as last year's model, although it will now reportedly come with a 5.5-inch display, and a front-facing camera with a flash. There could also be a fingerprint scanner integrated into the bottom speaker. Not much else is known about the 2015 Moto X at this stage, although there are reports suggesting Motorola will also unveil a 5.2-inch model known as the "Moto X Sport" with a more rugged body. Soon we'll find out if this is true, with Motorola's press event just under a week away.